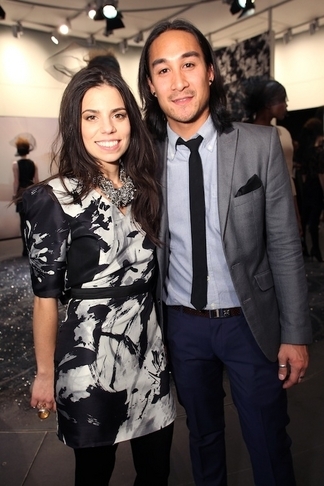 Tomorrow marks the initial day of the most anticipated fashion tradition of season: Mercedes-Benz Fashion Week. Fashion Week in February is “ New York City’s single largest media event.” During this week, Manhattan’s elite, among others, join together to watch the artistic display of the future in couture. Recently relocated to the Lincoln Center, Damrosche Park will be flooded with the fashion industry’s highly coveted styles, long legged models, hair and make up artists, sleep deprived designers, and nothing less then a frenzy of media coverage. With all of this excitement buzzing around the event, it is easy to get caught up in all of the high profile designers’ news, and opinions. One highly anticipated designer at Fashion Week struck my fancy with his NARY MANIVONG SPRING 2011 COLLECTION elaborate collections full of bright color palettes, and strong emphasis on the female form. His design philosophy is centered around “that dream woman: a self-assured, sophisticated and eclectic muse who expresses herself through clothing that flows effortlessly with the demands of her everyday life.” However the most interesting part about this designer isn’t only his collection, but his life story. 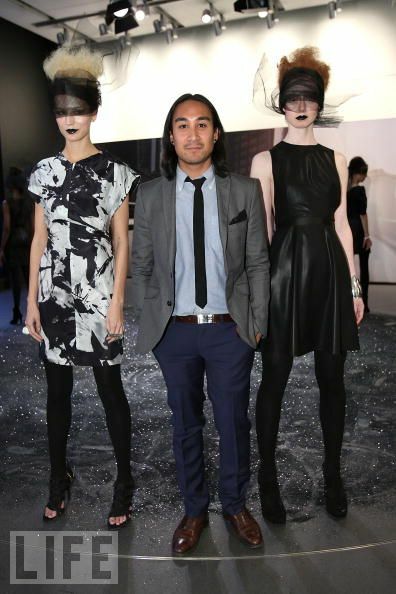 Nary Manivong is a 28 year old Laotian-American designer, from Ohio that currently resides in Brooklyn, NY. With the release of the recent film documentary in theaters on February 4 called 'Dressed,' Manivong’s story became magnified as a rags to riches story in the fashion industry. Manivong lived a troubled childhood in Ohio. Abandoned by his parents, he lived on the streets. "I would look at billboards or magazines and although I knew I couldn't afford those clothes, I knew I could create them," he says. "And I knew I had to be in New York to do that." (From an interview with Amanda P. Sidman, NY Daily News) While this may sound like something that anyone could say, the inspiration that Nary Manivong felt from this was enough to make him accomplish his dream, and make the big move to New York. It is this type of inspiration that helped him bare in mind that all of the trials and tribulations he will have along the way will eventually pay off with hard work and determination. With this determination Manivong has partnered up with Ally Hilfiger, daughter of Fashion Designer Tommy Hilfiger, to create an upcoming line called NAHM that is set to debut at NYFW this week. As claimed on his website, Nary Manivong “epitomizes the notion that without pain, there is no beauty.” Upon starring in his own documentary, the designer also has been acclaimed by Fashion ALLY HILFIGER WITH NARY MANIVONG Group International who nominated him for Rising Star Women’s Ready-to-Wear award in both 2009 and 2010. This story is miraculous and represents the “starving artist” that still exists in modern day society. Many of us seem to ignore that this lifestyle continues to exist because it is on the perfiery of our busy minds. However, its success stories such as Manivong’s that continue to inspire us as individuals to never let our dreams out of sight. The Official Trailer of 'Dressed click here. For more information on this article, please direct all questions and comments to MelissaAnn@INSPIRER.nu & be sure to check out my blog.